When Watson and Crick discovered the double helix structure of DNA and explained their understanding of how it works, it wasn’t for many to realize the grand role that DNA analysis would play in various fields of life. Today DNA analysis is a full-blown industry. Major projects like Human Genome Project are opening the doors of new research activities and various new applications of DNA analysis are showing up. One industry where the role of DNA analysis can never be overstressed is the forensic investigation domain. Based on huge DNA profile data banks maintained by different agencies, such as Combined DNA Index System (CODIS) by Federal Bureau of Investigation. DNA evidence found at a crime scene can be compared against DNA profiles of convicts and known offenders, leading to a clue. Paternity disputes and cases can also be solved via DNA testing. DNA analysis also plays a major role in the area of biosecurity. Diseases that are of infectious nature or pose threat to human population at large can be timely identified by public health organizations and thus taken action against. DNA Analysis is also used extensively in the field of food testing. Pathogens that are detrimental and pose danger to the supply of food and consequently public health can be detected. The advancement in DNA analysis technology has led to the development of personalized medicine. A relationship can be established between certain diseases and the way they respond to healing. Hence patients with similar DNA profile can be treated with medicines that are tailored to their DNA profile. In fact, the role of DNA analysis is so phenomenal in health sciences that it is bringing many revolutions. The study of genomics is not only delivering effective results in safeguarding human health and protection but also aiding the environmental safety activities. Once more cost effective ways of DNA sequencing are worked out, the use of genomic information can be expected to be applied at many more areas in medical research. DNA analysis has come all the way in identifying genes that are prone to certain diseases. By making use of the latest technology and tools, it will be possible to monitor the probabilities surrounding the genetic variations and how these could be linked to the genes mentioned earlier, thus developing diseases in human beings. The same technology will also be used to develop new ways of handling these diseases, thus obtaining better results from the treatment. 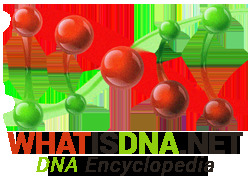 Overall, DNA analysis has done miracles in history and is rightly headed towards more.